As financial institutions continue to work to regain consumer confidence, some banks are embracing an old-time strategy to build strong customer relationships: total relationship banking. Embracing a relationship banking approach requires financial institutions to respond to customers' needs across all financial products and at all touch points. When marketers become more customer-centric, they not only engender trust, but create dialogue and rewarding relationships that will last for the long term. 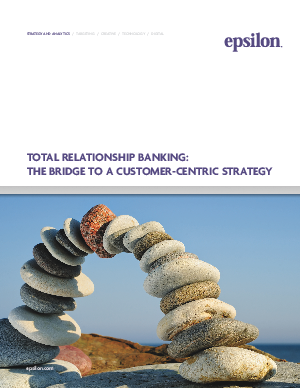 How should financial services marketers being building a total relationship banking strategy? It's a multi-step process.